People that are given obstacles in life either give in and give up to them or use that as motivation to push forward and become successful in spite of it. 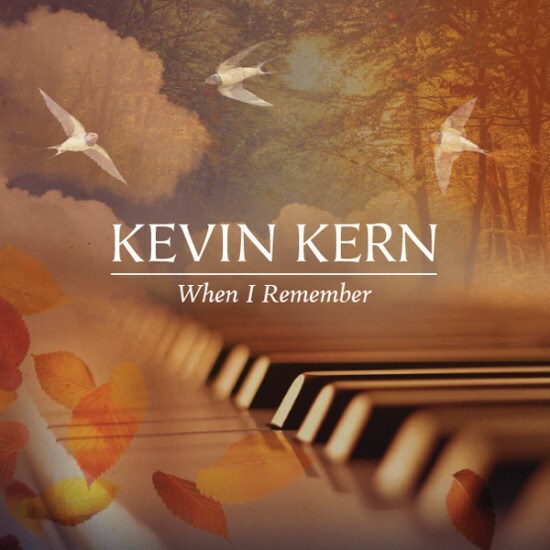 Kevin Kern took the positive path and used music as his voice of expression. Kevin has poor eyesight but judging by what this album titled When I Remember sounds like, that is not a disability. The artist is influenced by Mozart, Chopin and Bach, all the great composers. He gained his tools by learning pieces by these legendary musicians when he was young. This is what and when he remembers as the title suggests (at least that is my interpretation). The tracks mirror that foundation in the most elegant and beautiful way. I have heard countless standalone piano recordings this year and there is something about the simplicity and peacefulness it can bring to a listener that has intrigued me and given me the desire to accept it with an open heart and mind. One track seamlessly flows into the next offering a road to renewal. The ivory keys deliver a touch of heaven to your senses. For my listening experience it is a threefold process…sound, color and spirit. All three elements combine to ease my mind and soul and give me the comfort I seek at the end of each day. Because of the way each song connected to the next with different variations in tempo and approach I found it very difficult to pull out a few tracks that really stood out. 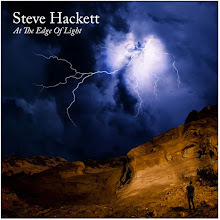 This is not to downplay the recording but it is quite the opposite, it is actually complimenting the artist on his consistency and approach from start to finish. It is music like this that always seems to come to me at the right time day or night, it is a gift from the gifted. 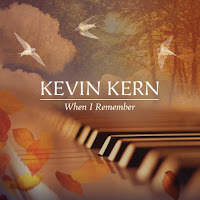 Kevin Kern is an enlightened spirit with the gift of music inside and he offers an audience his translation through his talented fingers and energy. When I Remember is musical perfection that heals and offers so much if one can focus long enough to stop and listen. I think that practice of stopping and listening could really be helpful in everyone’s daily life in these tumultuous times we live in. Thank god for musicians transporting the universal language of love and joy through music and that is exactly what Mr. Kern does on this recording.